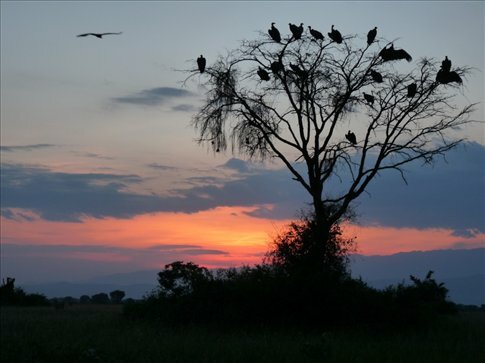 ...and a tree full of vultures as the sunset. What an amazing shot..a picture postcard! I know -- isn't it amazing!! We have to admit that our pictures from Queen Elizabeth National Park must be attributed to our New Zealand friend, Kirsty. She came with Miral and I on the trip and her camera is much better than ours -- we took many of the same shots but they were not quite as astounding as hers -- so she let us pilfer hers. But every other shot on the website is ours - -SWEAR!! !